Get your financial situation on track before the holiday season is in full swing. If you need help getting there, Arizona auto loans may be the solution! The holiday season is upon us in full force, and that means spending money is very easy. Whether it’s a few dollars here or a big investment there. Before you even start with spending binges (like on Black Friday, for instance), now is the perfect time to get your finances in order and your habits under control. Here are a few tips that will help make your purchases really count. This is the time to stop “just winging it” when you get your paycheck. How can you plan for your spending if you don’t have a budget set in place? Living paycheck to paycheck makes it difficult to save and allocate money so you feel in control of your finances. To do this, it’s best to set up attainable goals that you can follow. Remember simple rules like prioritizing saving money, keeping track of your weekly spending, and paying yourself first. The point is to spend less money than you are making so that you can be more comfortable, in the long run. Spending money is inevitable. The goal is to spend it efficiently, as well as to put your money toward improving your situation. Instead of spontaneous buying “stuff” and losing track of where your money is going, think about the bigger picture. For example, instead of going out to lunch every day at work, go to the grocery store at the beginning of the week and prepare your meals ahead of time. This goes for any part of purchasing needs: clothes, presents, beauty, electronics, etc. Start to prioritize what you need and plan ahead as this will help to improve your financial habits for years to come. Cash runs out, but credit, unfortunately, does not. Carrying cash for your day-to-day spending may help you to see where your money is going. After creating an attainable budget you will have some extra cash for your purchases, so pay for those with cash. When you go out, bring your budgeted cash and then you won’t be able to go over the amount you set aside. This is another way to keep your money in the bank instead of forfeiting it to credit card bills. 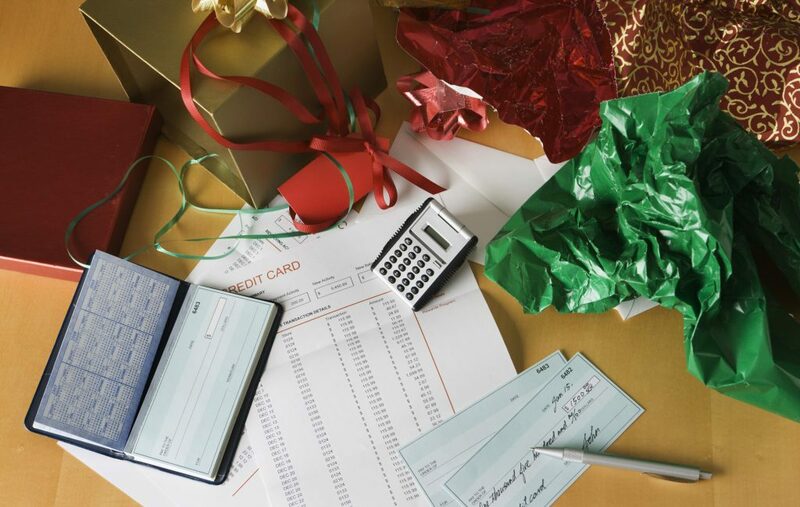 Start the holiday season off right by taking control of your finances. Don’t let yourself get into a slump or not be equipped to pay your bills. If you need help getting on track and learning to spending cash the right way, contact our team members at Auto Action to learn more about the benefits of Arizona auto loans by calling 602-345-8000. We can walk you through the application process from beginning to end and help give you tips on how to manage your finances.